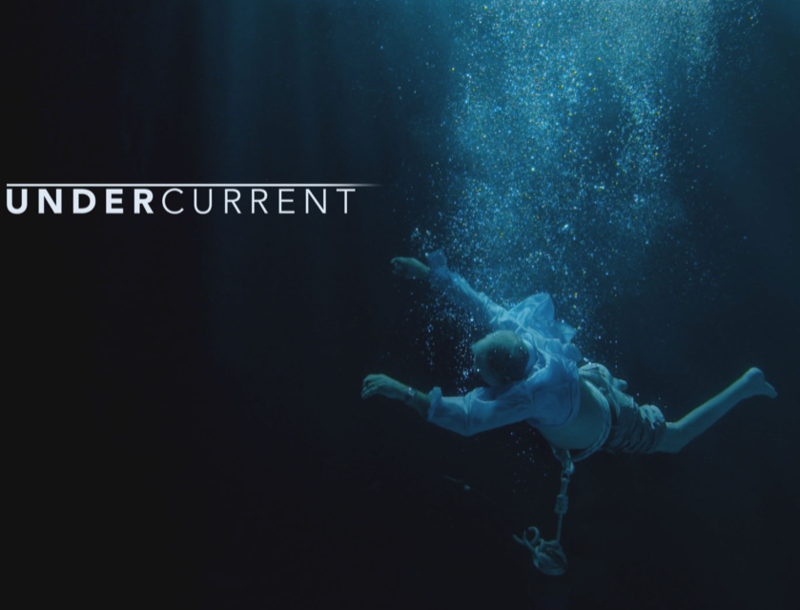 The final episode of Undercurrent (7 Network), delving into the case of Sue Neill-Fraser, will be showcased at the Australian International Documentary Conference in Melbourne tonight (March 5, 2019), followed by a Q&A with producer/director Eve Ash and Executive Producer Andrew Farrell (CJZ Productions). Episode 6 of the series will air across Australia (except in Tasmania) tomorrow night, March 6, 2019 (9.30pm EADT). It will conclude the controversial series, in which Ash and investigative author Colin McLaren reveal the weaknesses in the original police investigation and identify persons of interest in the case that has divided Tasmania and intrigued Australia at large, since the 2010 murder conviction of Sue Neill-Fraser. The conference is held at the Australian Centre for the Moving Image (ACMI), Melbourne and is attended by speakers from all over the world. Andrew, I h’ve read the post you referred me to. However, nowhere does it say that the “DNA swab area was 210 x 260 mm, about the size of a pancake”. “There was an area, the black outline in the photos, of positive luminol which suggests the presence of blood. However, our testing of the swab taken from the area was negative for the blood screening test, suggesting that we cannot confirm the presence of blood. Given the strong DNA profile that we obtained from this swab,I’d suggest that this is indicative of the presence of a relatively large amount of DNA which is more likely to come from bodily fluids, blood, saliva, than a simple contact touching event. So basically we cannot say of any certainty where the DNA may have come from. The positive luminol result suggests that the source may have been blood, and the fact that this was an external surface means there may have been washing or weathering events that have prevented us from being able to definitively identify the presence of blood. I don’t see why, on the basis of the information you posted on that other other blog, you feel justified in saying that “DNA swab area was 210 x 260 mm, about the size of a pancake”. Maybe you are right. I am not 100% convinced, but ….it is nevertheless confirmed as a direct deposit of Meaghan Vass’ DNA. She has also admitted she was on the boat, so the size of the swab is not critical. Meaghan had also admitted, but under an oath in the Supreme Court in 2017, that she wasn’t on the yacht and that her signed statement was false and was signed under pressure. I trust that you too will recognise that Meaghan’s latest statement isn’t under an oath. However, I am aware of a claim by “Gabby” that she has Meaghan’s diary from 2009 in safe keeping. Gabby is a name in Colin McLaren’s book given to a person who was charged in 2017 with two or three counts of perversion of justice. She was also charged with the corruption of a witness. That witness is Meaghan. Where is the alleged diary, Andrew? Surely that is one piece of evidence that could back up Meaghan’s new version on the forthcoming 60Mins interview. Aren’t you as an educated man concerned about the possibility that if Meaghan doesn’t produce that diary on 60Mins then the whole thing is a hoax invented by a financially desperate woman and her bikie boyfriend? I suggest you read today’s post on the subject at https://wrongfulconvictionsreport.org/2019/03/09/meaghan-vass-inconvenient-eyewitness-to-murder/ – and let’s wait to see if her confession is repeated in court under oath – or whatever the judge now orders. The public disquiet has always been about the flawed process that led to Sue Neill-Fraser’s conviction. It was always about getting a new and complete appeal in front of three judges… you are entitled to your opinion but might want to hold back on judgement. “My entry just says literally what I told you. It says “ Area 11, approximately 9.45 metres from forward end, approximately 250 millimetres from starboard rail and approximately 210 by 260 millimetres on the starboard walkway. i missed this last episode, has anyone taped it . i really want to see it please. The Tasmanian public will not rest until the incompetent police investigators and others who have deliberately perverted the course of justice, hidden facts, strongly coerced and threatened witnesses are sentenced to at least the time served by SNF. Ironic that the then DPP at the time Tim Ellis who introduced new speculation in his closing argument and strongly influenced the jury’s decision has since caused the actual death of a person through negligent driving and has not spent one night in jail. Sue Neill Fraser who never killed anyone has spent 10 years behind bars. The old saying is true, its not what you know, its who you know. Did anyone watch the next 7news story about the Beaumont children? A forensic expert said the team will be wearing their full forensic garb to protect the crime scene from contamination. I have raised this topic before, why weren’t the forensic team on the 4W yacht wearing their gear? The DPP admitted the crime scene was contaminated by claiming Ms Vass’s DNA got there from someone’s boot – boots that either should not have been there or should have been covered while at the crime scene. How is this not grounds for a retrial? Would like to know the size of the DNA, was it a boot size, was it blood splatter, was it vomit the size of a football??????. This would then show the possibility of blood etc brought on board, by who and who was in contact with Meagan a few minutes before going to boat, if would have been minutes for blood to still be wet and re- deposited, would have been a lot of Meagans blood for this to happen. Were the Police, who where present on Bob’s boat, interviewed about there contact with Megan to get her blood on them, how?????? The DNA swab area was 210 x 260 mm, about the size of a pancake, too large for transfer by boot. It now seems most likely to have been vomit … stay tuned. No it wasn’t. It is true that luminol reacted over the area the size you quoted. But it isn’t true that the “DNA swab area was 210 x 260 mm, about the size of a pancake”. Accuracy of reporting is important Andrew. A DNA scientist in the Steven Avery case was able to verify that a strong result can only come from a primary source. The Avery documentary went a long way towards proving that holding onto a key for 10 minutes did not deposit enough DNA to produce as strong a match as was depicted in the report. None-the-less, it stands to reason a secondary source could be adequately demonstrated by the existence of mixed DNA… no?? If it did, indeed, come off the street?? Well said Mel, I also cannot understand why Meagan has not been charged with an Accessory to Murder. Where is here boy friend? surely police must know of him, his name, associate on the nite, why has this line of enquiry not been pursued. Police are being made look idiots, criminals themselves the longer this goes on. Watching how the statement was drafted for Ms Vass, I cannot see how it could be false or misleading in any way. As I have been a witness in numerous cases I can vouch that he did exactly what the police do when they draft statements for witnesses to sign. He then left the statement with her for her own consideration in her own time – no coercion. There’s no way bikers have encouraged her to sign it, let alone threatening her if she didn’t. If you know ANY bikers then you should also know that’s just plain absurd! They don’t cooperate with authorities unless there’s something in it for them. PERIOD! The only people with a vested interest in Ms Vass cooperating with authorities is the authorities themselves! I’m surprised the judge didn’t pick up on this. How can this miscarriage of justice be happening in 2019 Australia? With such blatant acts on behalf of Tasmanian Police to cover up their incompetence and corruption. This is not the USA! I am so looking forward to episode 6 and the conclusions that will be aired. Also if the Tasmanian police hinder or take more notice how wrong the conviction is. Not to be overlooked is the reliance on the pure speculation introduced by the Director of Public Prosecutions into the SN-F Court Trial. This new low having been accepted by the presiding Supreme Court Judge, does not augur well for the credibility nor the confidence in the Tasmanian System of Justice. The same DPP having improperly discharged a prior serious case involving a former power of attorney whp, after a probing police investigation, had been charged with attempted murder and multiple counts of theft, the DPP had claimed that his then-wife or partner had provided crucial mitigating evidence that had enabled him to discharge this heavily biased case event. This fact I had established after receiving a Right to Information copy of the State of Tasmania police report, t’was therein that I had discovered this classic demonstration of ‘the conflict of interest’ underlying the case discharge. I think you mean ‘the Tasmanian LEGAL system’, which is not necessarily justice. What do you mean by a “former power of attorney”? That makes no sense – someone can *have* power of attorney, but they can’t *be* a power of attorney. So what exactly do you mean here.? And is the “whp” supposed to be “who”?